We went to Las Vegas with my husband on business last weekend and didn’t get back until w-a-y late last night (yawn). The sad part was that the wireless card for our laptop simply would not connect with the wireless service at the hotel. I felt a bit disconnected…but came back to some really great news. 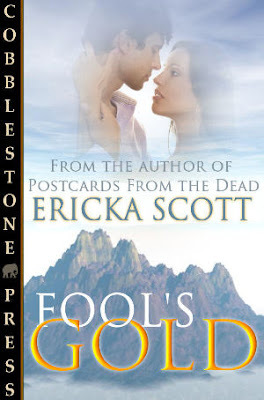 I got new cover art for a 2008 release from Cobblestone Press titled Fool’s Gold. And it looks like I have a new home for The Werewolf Whisperer! I’ll make a formal annoucement about it once the contract’s been received and signed…but it’s a relief to know it’ll soon have a publisher. 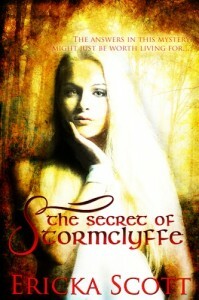 What it really means is I need to get cracking on writing the three sequels to it as well ~ LOL! All the time without the internet meant I did a lot of writing. I have one final scene to write for The Vampire Oracle: Chalice and then I can type THE END on the first draft. I’m probably a little off target for hitting submit by 31 October, but it’ll be close. My next project is going to be a time travel…it’s part of an idea I’ve been thinking about for years and all the details are finally beginning to gel. I have to have it written and submitted by the end of the year but am shooting for 15 December so that I can take a bit of a breather during the holidays and start thinking about what projects I need to tackle in 2008. Anyway…that’s what I’ve been up to. What about you? Have you met your goals for 2007? Are you even close? This entry was posted on Friday, October 26th, 2007 at 2:40 pm in A Writer's Life. You can feed this entry. Responses are currently closed, but you can trackback from your own site.